In the back streets of Forest Lodge hides a Chinese resto with the flavours of Sichuan, Hunan and Hong Kong. Allfine Chinese Cuisine House looks like a half arsed conversion of an old hamburger shop, decorated with brick patterned wallpaper and plastic chillis to hide the chiko roll ads. This is a simple operation, a couple of friendly laid back folk doing the cooking and serving, their kid doing homework at one of the tables. While the food can take a while to come out, it's often because they're doing it all by hand and doing it fresh to order, it's worth a small wait. It took us a while to figure out what this resto was called. 'Dumpling King' says the name over the door, which is next to a sign proclaiming themselves to be 'Chili House'. Which draws your eye to a third sign that has no name, just a picture of a duck. 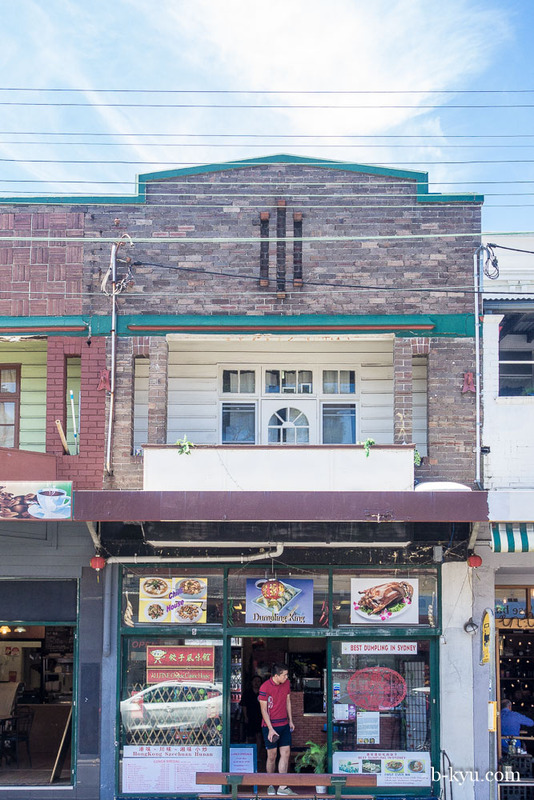 The menu, press clippings and other signage suggests the name 'Allfine Chinese Cuisine House'. 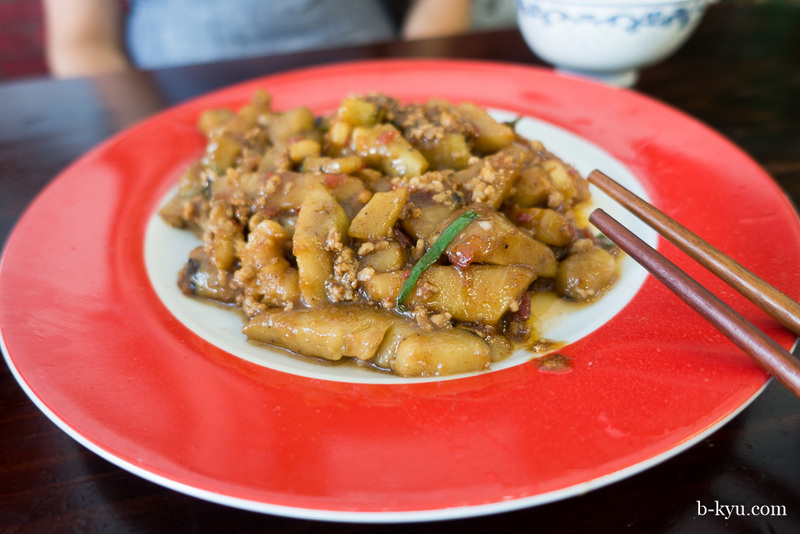 We'll go with Allfine Chinese Cuisine House because it's the topsest. Dumplings in Sichuan chili oil - $9.80. 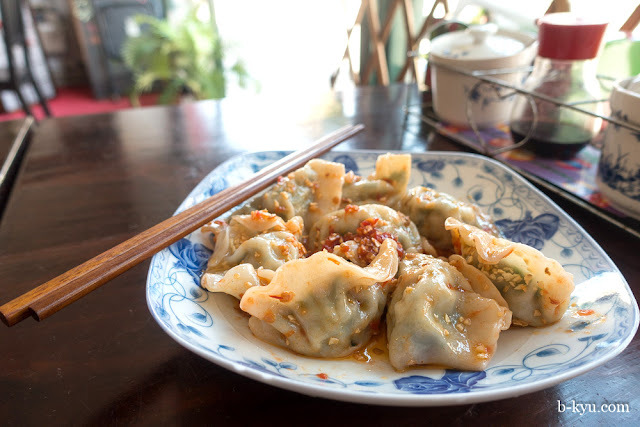 Dumplings in chili oil is one of those simple dishes that is easy to get wrong, but Allfine gets it so, so right. in chili oil is a favourite dish of ours. Fresh tasting dumplings in chili oil with the added goodness of a little Sichuan pepper. A heavy wallop of garlic mixes with the oil to create a little umami magic, similar to the joys of garlic and olive oil in Italian cooking. Braised eggplants and shredded pork with chili and garlic sauce - $12.80. We spied this dish being prepared right from the start, the chef pulling out an eggplant, chopping and prepping then firing up the wok where the hamburgers would have been flipped. Mixed with a small amount of pork mince for extra flavour, the eggplant goes all soft and droopy cooked over the high heat and makes a good share plate. Chili vinegar potato slips - $9.80. Again, these were freshly shredded and prepared, we spied the action of the grating in the small kitchen out back. 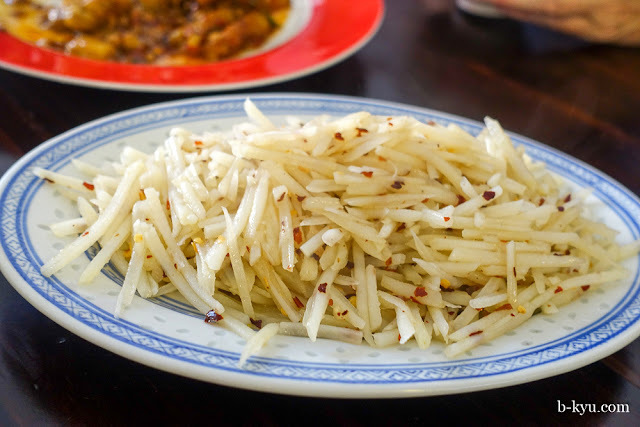 Slivers of potato are stir fried with a little crunch left in, with a dash of vinegar and chilli. Chinese salt'n'vinegar chips. Very happy. 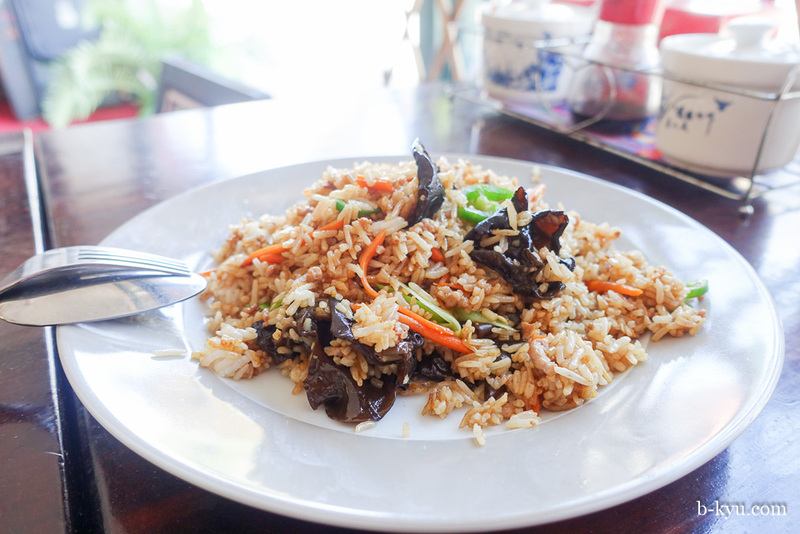 Fungus with long green chili fried rice with pork - $11.80. The black fungus adds more fun and colour than flavour. The the chilis are similar to jalepino, sliced and medium hot. The pork is minced and adds only a subtle difference, next time we'd save a couple of bucks and get the veggie version. 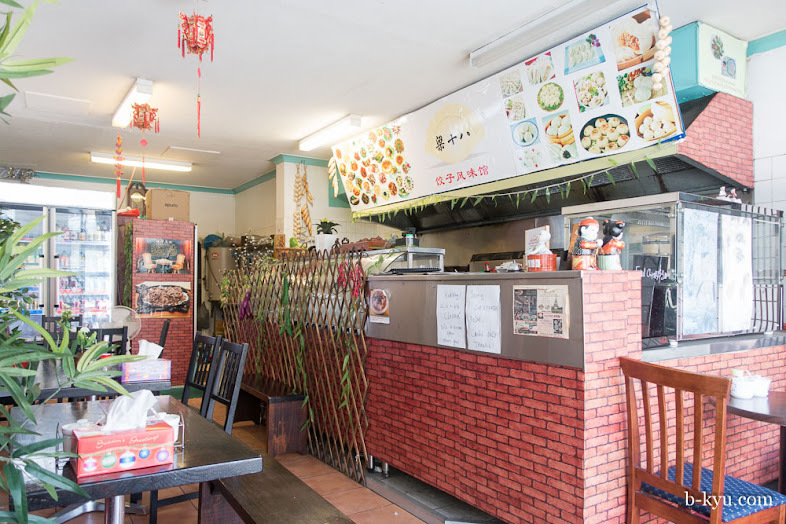 There's thirty or so versions of fried rice on the menu starting with a hefty plate of fried rice with egg for $7.90, through to fancy pants fried rice with roast duck for $14.50. We'll be back to try the fried rice with Sichuan BBQ pork or the prawn and pineapple fried rice for $12.50. 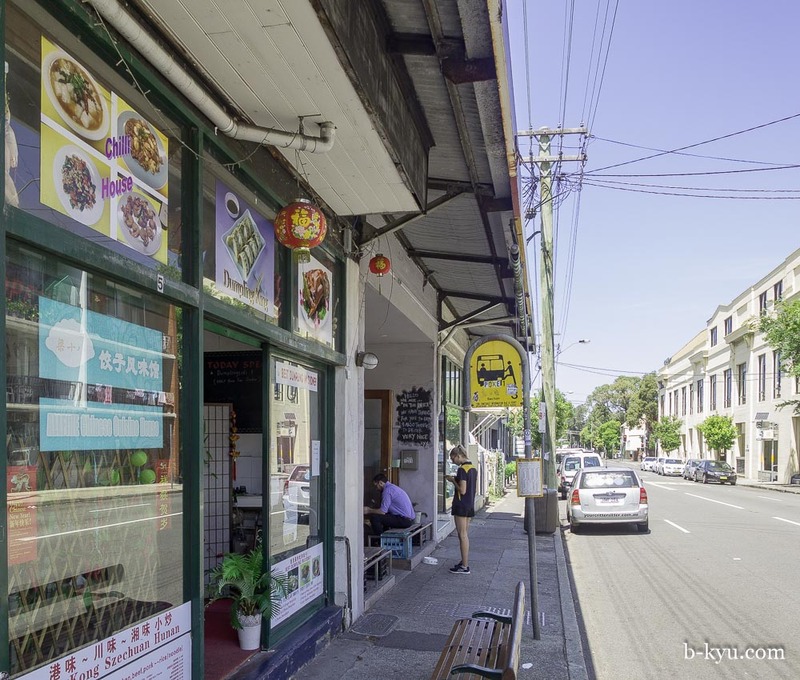 Allfine Chinese Cuisine House (with both Dumpling King and Chilli House also written on the front doors) is at 35a Ross Street, Glebe \ Forest Lodge. Thanks for the tip, love the name and the description of the food. Will try the haleem especially, love that dish. I tried Allfine a few weeks back and found it was pretty good too. I got the impressed raised eyebrow for ordering exclusively from the sichuan/hunan part of the menu, which is always a good sign. That couple work their asses off though - always there, always cooking, always cleaning. I hope they do well, because they certainly put their heart into it. They sure do work hard, sometimes there's a little boy in there doing his homework so they're looking after him too! I'll be checking to see the results. Then you can fly out here and cook them for me! Oh I love Sichuan! YUM All the dishes looked super delicious.